When the Speed Pocket was first introduced in the RocketBallz RBZ fairway and promised 17 more yards for golfers, the fast face was born. It made the RBZ fairways the longest in the market and set the standard for others to follow suit. Now that slot faces are all pervasive, TayloMade has for 2019, come out and upped the game for fairway woods, taking a lot of the technology found in its drivers and cramming everything they know into the M5 and M6 fairways to leap frog the competition yet again. Filtering down from its drivers, the M5 fairway benefits from Twist Face technology to counteract the gear effect on common mis-hits in the high-toe and low-heel. Instead of traditional bulge and roll, the face was modified open (loft increased & face opened) on the high-toe to help straighten ball flight. Similarly, to counteract the low-heel miss (a slice) the face was modified closed to de-loft and close the face in the low heel area. This reduces dispersion on off-centre hits from 16m on the old M3 to a little under 3m. In a complete re-engineering of TaylorMade adjustable fairways, the M5 fairway features an advanced multi-material head construction with a titanium body, and a larger 5-layer carbon composite crown with a steel movable weight; a tri-material construction unheard of till now in a fairway wood. The super light carbon and titanium freed up a lot more discretionary weight, which engineers used to completely redesign the sliding weight system to lower CG and increase adjustability. Heavier stainless steel has always been the choice to keep fairway woods cost effective for the majority of golfers. Because it’s expensive, titanium-headed fairway woods have been few and far between in golf, though vastly superior to steel in performance, as it frees up weight to improve forgiveness. How much of an improvement? In the M5’s adjustable weight system, there is a massive 65g moveable steel weight, or about 30% of the total head weight, allowing for a generous draw and fade adjustability. The steel weight also creates a lower center of gravity for a more efficient energy transfer with higher launch and lower spin. Its unique design also creates a more seamless sole contour, for smoother turf interaction. Completing the M5 fairway is a more streamlined 12-position loft sleeve for up to 4° of adjustability (+-2°). The M5 fairway will be offered in 3 and 5 wood lofts and come equipped with a Mitsubishi Kuro Kage TM5, with numerous additional shaft options available at no additional cost. The stock grip is the MCC Decade grip from Golf Pride. An M5 Rescue won’t be part of the line-up since TaylorMade has this segment of golfer completely covered with its GAPR range of rescue clubs released late last year. The non-adjustable steel-headed M6 fairway, like its sibling the M5, also features Twist Face technology in a fairway for the first time, and is equipped with a re-engineered Speed Pocket to boost ball speed on shots struck low on the face. A TPU insert slots into the Speed Pocket to sit flush with the sole for better turf interaction and eliminating turf drag. The center of gravity now sits directly behind the club face in the M6, which improves energy transfer better than its predecessor, the M4. Relative to the M5, the M6 features a slightly taller face for a more confidence-inspiring look at address and a larger impact area. Like the M5, however, the M6’s carbon composite crown increases discretionary mass, which is concentrated low in the head for a lower CG and higher launch. Stronger players will welcome the addition of a ‘Rocket 3’, 14-degree offering targeting those who seek reduced spin and higher ballspeed. For golfers who struggle with a slice, the M6 is also available in a draw-biased M6 D-Type for an additional 15 yards of draw bias compared to the standard M6. 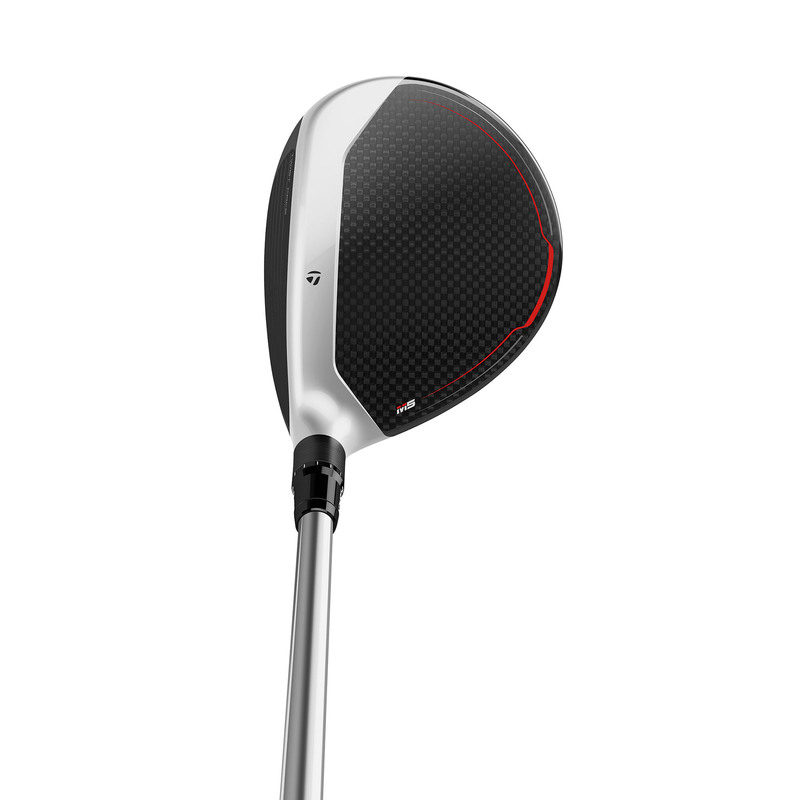 The M6 fairway woods will be offered in 3 and 5 wood lofts and equipped with MCA Fubuki shaft. The stock men’s grip is the Lamkin Dual Feel grip and the stock ladies grip is the Lamkin Comfort Plus Dual Feel grip. TaylorMade touts the M6 rescue as its longest and most versatile hybrid club to date, as for the first time ever, it incorporates Twist Face technology, following the lead of its fairway and driver siblings. 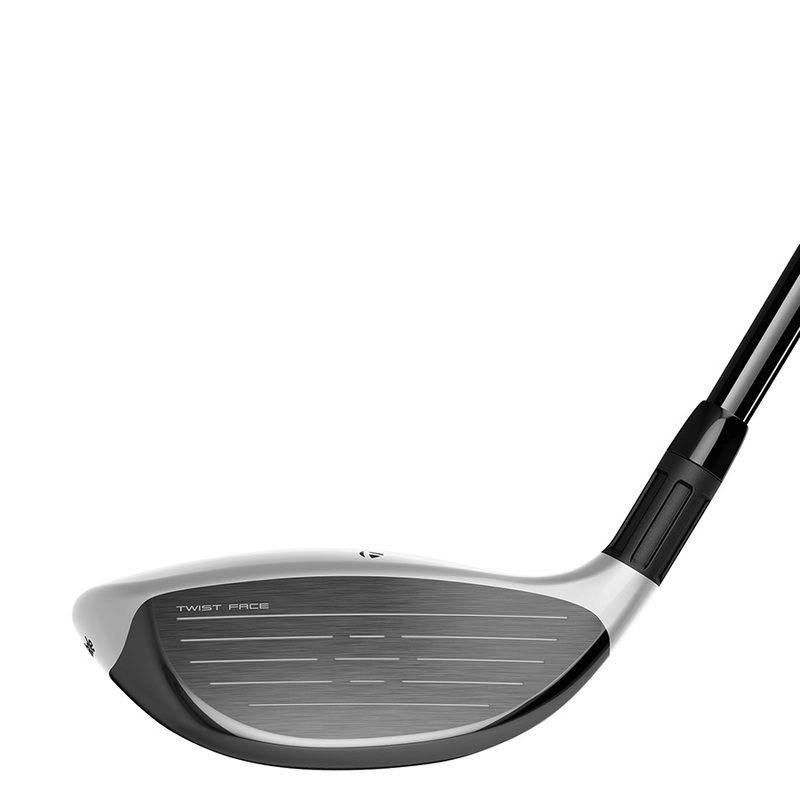 Since the face is significantly smaller than the M6 driver, the face curvature is more pronounced. Visually masking the curvature cleverly is the two-tone stepped crown. A low CG steel body construction with the stepped crown creates a lower CG and easy alignment. It also features a thinner and faster face for improved ball speed and overall distance. A redesigned more flexible Speed Pocket with a TPU slot insert that sits flush with the sole delivers a larger COR area with better off-center performance, especially on low-face strikes; turf interaction is also improved. The M6 Rescue will be offered in 19°, 22° and 25° lofts and come equipped with a MCA Fubuki shaft. 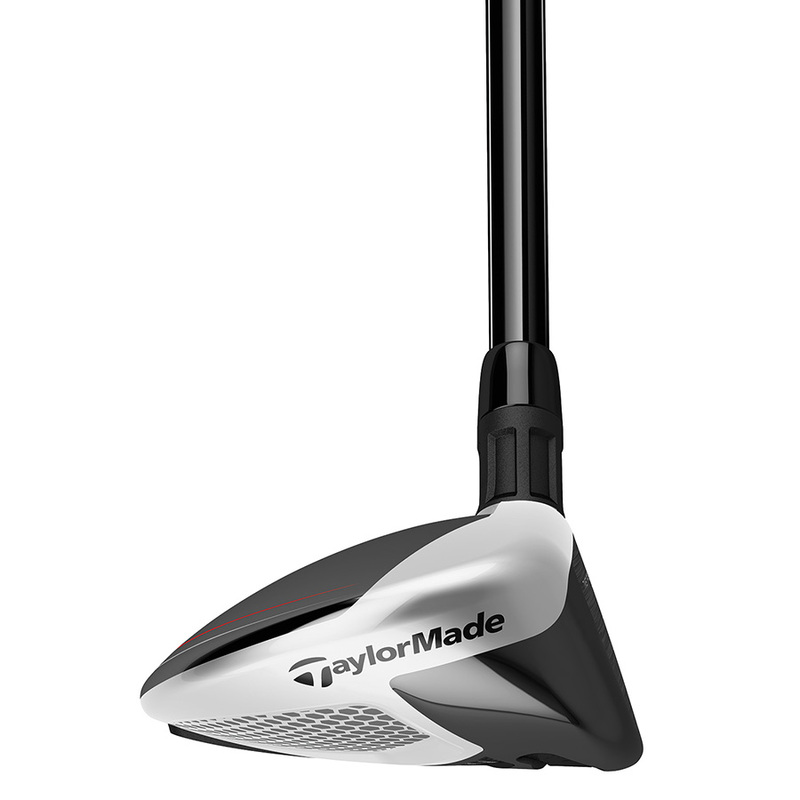 For women, the M6 Rescue will come in 22°, 25° and come equipped with TaylorMade’s Tuned Performance 45g L-flex shaft. The stock men’s grip is the Lamkin Dual Feel grip and the stock ladies grip is the Lamkin Comfort Plus Dual Feel grip.